I-69 construction is creating conditions that have led to deaths, severe injuries and extreme damage to property and aquifers in Daviess and Greene Counties. On October 10, 2011, three Daviess County citizens were killed when a truck, hauling gravel for I-69 construction, slammed into two disabled vans, killing the two occupants of the vans and a farmer who was assisting at the scene. On October 31, 2011, four people were seriously hurt when two trucks collided head-on near the US-231 interchange that is under construction for I-69. A local resident confirmed that the accident occurred in the work zone for I-69. This site was the scene of another accident on 14 October, 2011. So keep an eye out; we’ll be posting updates here from various sources. There will be another meeting on Tuesday, October 4th at 7 pm in People’s Park (at Kirkwood and Grant in downtown Bloomington). Suggestions were made that people coming to the meeting on Tuesday bring written position papers as to help clarify their positions to other people, either to be passed out, passed around or read to the group. 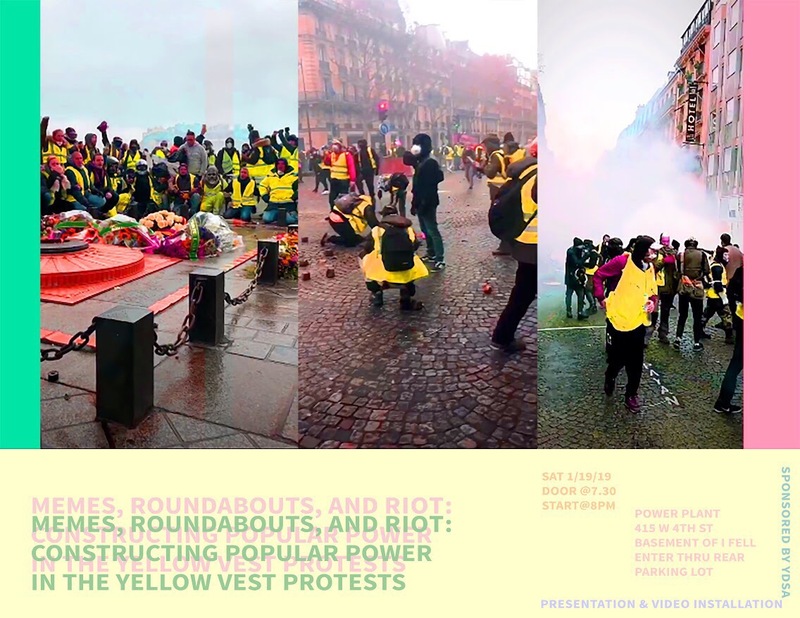 Also, the suggestion was made that people familiarize themselves with similar occupation-style protests, both currently in the United States as well as the plaza occupations that happened all over Europe earlier this summer in response to the debt crisis. Workers being hung out to dry by both their employers and their union bureaucrats: it’s business as usual. However, we thought we’d highlight this particularly disgusting move by National Gypsum, located in Shoals, Indiana. As far as we’re aware, the lockout is now on it’s third week. SHOALS — National Gypsum has locked workers out of its mine and plant in Martin County. At issue is the workers’ retirement package. Nancy Spurlock, a spokeswoman for National Gypsum, said the company and employees represented by the USW have not been able to agree on a retirement package. The company’s offer splits employees by age. Those age 40 and older would stay on the company’s traditional pension plan. Those age 39 and younger would be put on a 401(k)-type plan. In both cases, the company would contribute to the employee’s retirement package, she said. Employees would decide how to invest their 401(k) plans. Those plans also would be portable, meaning if an employee left the company, the money would go with him. “All of our salaried employees have this plan,” she said, as do hourly workers at 33 of the company’s 36 locations. Union officials said the membership at the local has been united in protecting the pension benefit plan. “Replacing a defined benefit plan with a 401(k) plan with a non-binding employer match undermines an essential cornerstone of the middle class existence: the right to retire in dignity after delivering to an employer a career of loyal and productive work,” Robinson said. National Gypsum is one of the largest gypsum wallboard producers in the United States. It operates 17 wallboard production plants and eight gypsum mines and quarries. The Shoals plant and mine have been in production since 1956. In all, 99 people work at the Shoals operation; 81 of them are union workers affected by the lockout, she said.